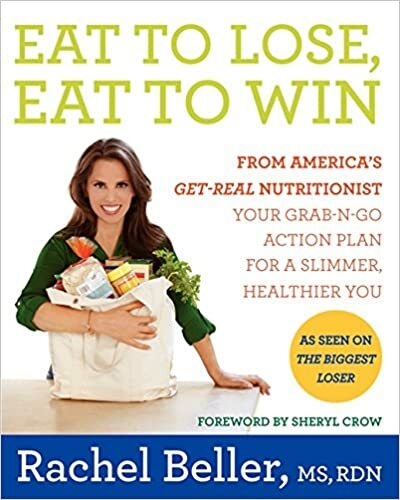 In Eat to Lose, Eat to Win, celebrity nutritionist Rachel Beller (of Biggest Loser fame) takes a basic tenet of weight loss—eat the “right” foods—and makes it easy to achieve. No more writing lists or memorizing “approved” foods—an extensive, take-it-with-you, full-color look-and-shop guide shows actual products, making purchasing healthy foods and sticking to a nutritious eating plan straightforward and undemanding. Eat to Lose, Eat to Win is sensible and real-world ready with practical tips on how to best incorporate the latest nutritional recommendations—such as fiber, Omega-3, protein, and antioxidants—into a healthy diet. Filled with recipes for simple-to-prepare meals and snacks, as well as common-sense suggestions, this is a must-have tool for anyone looking for motivation to change to a healthier lifestyle.